Course Website: Official Website - Visit Interlachen Country Club's official website by clicking on the link provided. What to Expect: Interlachen is a historic course that has consistently rated in the Top 100 and is a favorite among Donald Ross fans. 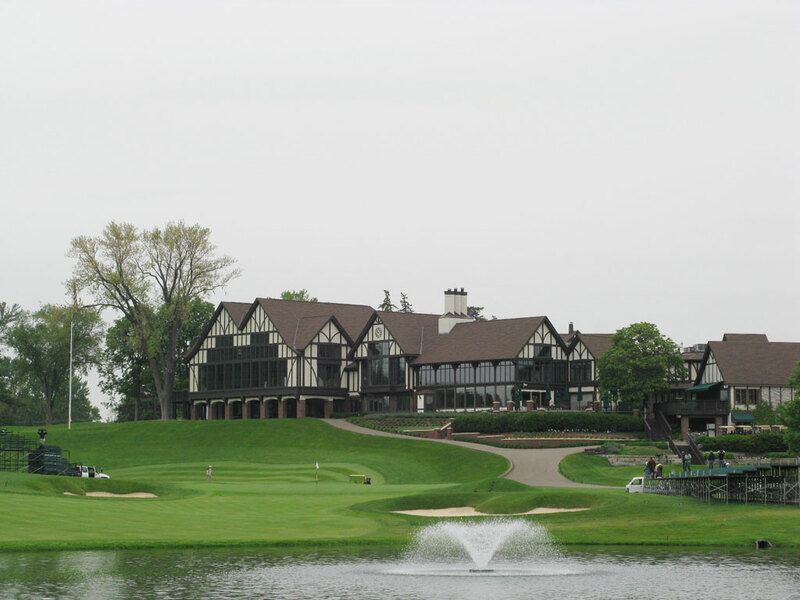 The course is best known for hosting the 1930 U.S. Open that Bobby Jones won on his way to the “Grand Slam.” The Swiss Chalet-style clubhouse is an impressive structure that overlooks the course and is an iconic backdrop to the famous 9th hole. 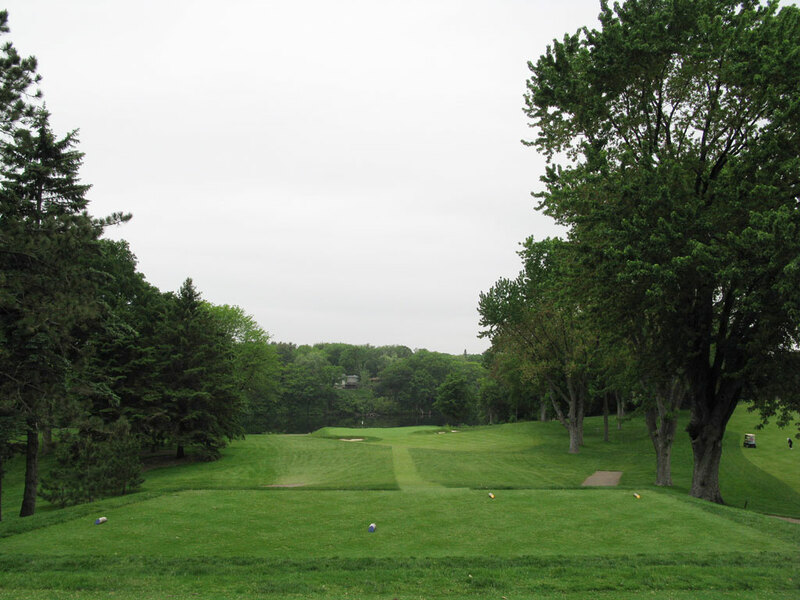 The heavily treed rolling terrain is perfect for a Minnesota golf course and water comes into play on a half dozen of the holes. 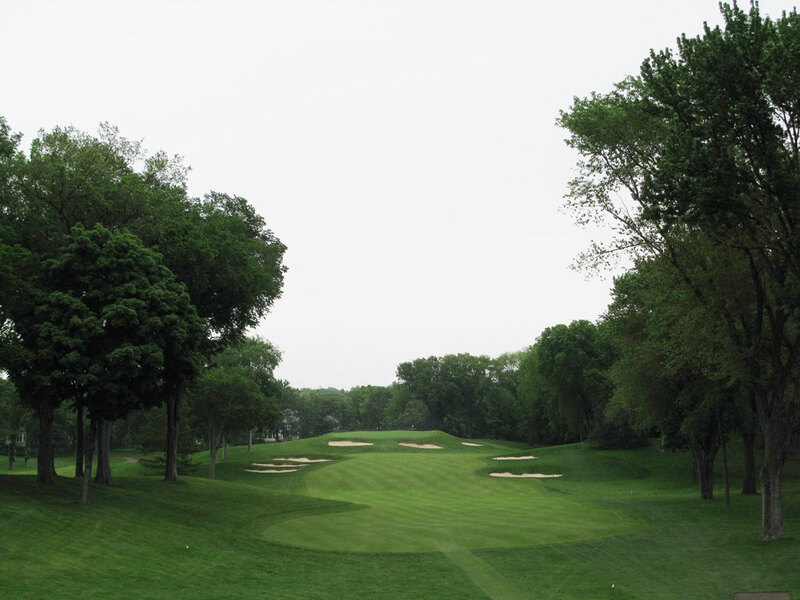 Signature Hole: 9th Hole – 530 Yard Par 5 – The 9th hole at Interlachen and the 16th hole at Hazeltine offer a good debate on which one is the most famous and signature worthy of the state of Minnesota. The par five 9th hole (18th hole in tournaments) at Interlachen delivers impressive history with Bobby Jones and the 1930 U.S. Open while Hazeltine’s 16th hole has been the subject of more recent major championships. 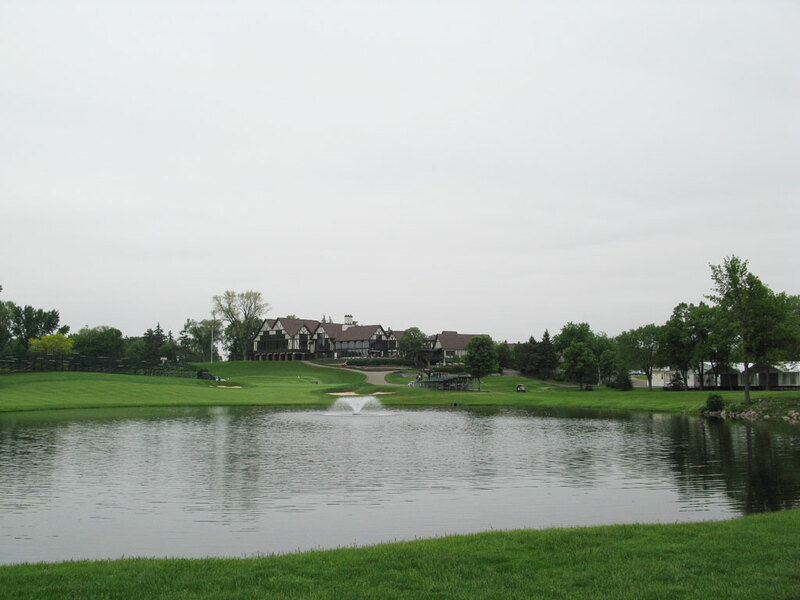 This dogleg right that plays over a large pond was the last hole Annika Sorenstam played in the 2008 U.S. Open before retiring. Best Par 3: 13th Hole – 190 Yards – The 13th hole at Interlachen plays downhill to a green that is protected by five bunkers and sits above Mirror Lake. The green is wider in the back portion than it is in the front but hitting your tee shot long will result in a very difficult up and down which places a premium on an accurate approach. Best Par 4: 10th Hole – 347 Yards – There are several shortish par fours at Interlachen that require accurate tee shots and a solid short game. However, the par four that sticks out in my head in the straight-away 10th hole. The green in front by two bunkers which instills in the golfer a need to carry it further back into the green in order to find safety. However this green slopes HARD from back to front and is easily the most difficult putting surface on the course. In fact, this hole had a higher putting average than any other during the 2008 Women’s U.S. Open and delivers the character that Donald Ross became so famous for on his greens. Best Par 5: 9th Hole – 530 Yards – This reachable par five became famous in the 1930 U.S. Open and was dubbed “The Lily Pad” hole when Bobby Jones skipped his approach shot across the lake and managed to score a birdie on his way to winning the event and eventually the “Grand Slam.” It is not confirmed whether his ball actually skipped on a lily pad or whether it skipped on the water, but either way it was an impressive way to land a birdie and resulted in the kind of story that legends are made of. A cut shot off the tee will leave you in the widest portion of the fairway and your best chance to reach this green in two and duplicate Jones’ score of four. Birdie Time: 11th Hole – 475 Yard Par 5 – Players should be licking their chops when the see a sub-500 yard par five on the scorecard and at Interlachen that means taking advantage of the 11th hole. This dogleg right hole can be shortened even more by cutting the corner and taking your chances with a kick off the trees that protect the bend in the fairway. The approach shot plays uphill to a large green that should offer a relatively easy two putt. This hole played nearly ½ stroke under par during the 2008 Women’s U.S. Open. Not carding a birdie here probably means you’ve had a rough day on the links. 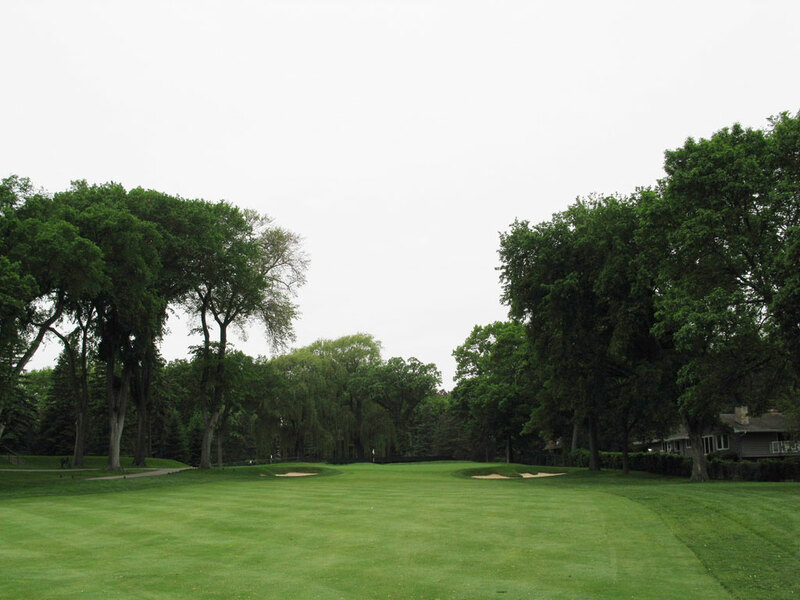 Bogey Beware: 8th Hole – 441 Yard Par 4 – While Interlachen features several shorter par fours, this isn’t one of them. At 441 yards it is the longest two-shotter on the course and is a classic shaped dogleg left with bunkers on either side of the bend. The widest part of the fairway is short of the bunkers but will leave a bunch of length left before getting to the pin. The approach shot plays to an elevated green slopes hard from back to front and is protected by three bunkers. This challenging hole played to a 4.426 stroke average during the 2008 Women’s U.S. Open.